Prince Harry and Meghan Markle's Royal Wedding started early Saturday morning at St. George's Chapel in Windsor and it was a majestic scene, to say the least. The event itself boasted well over a thousand guests, with 1,200 members of the public being invited as well as numerous members of the Royal Family. Among the guests were numerous celebrities Harry met while growing up in the royal family and Markle met through her acting and philanthropy work. Here's a complete list of every actor, actress, singer, athlete and other type of celebrity who arrived to celebrate the happy couple's special day. The famous duo of actor George Clooney and his wife Amal Clooney were led the pack of celebrities who filled in the chapel, with Clooney in a grey suit and Amal in a yellow dress with matching heels and hat. Markle and Amal were reportedly introduced to each other through a mutual friend after the new Duchess of Sussex moved to England. Television icon Oprah Winfrey attended the wedding, and reportedly spent nearly six hours chatting with Markle's mother Dorai Ragland in what will be an upcoming tell-all interview. Retired soccer star David Beckham and his wife, fashion designer and former Spice Girls member Victoria Beckham made an appearance at the wedding. Victoria and Markle reportedly know each other through the fashion circles while Beckham met Harry multiple times during his soccer career. Elba was formerly a beneficiary of The Prince's Trust fund, charity that awarded him a grant that helped him escape a rough area of East London to pursue a career in acting. Sporting a shaved head look, Mad Max Fury Road actor Tom Hardy attended the wedding alongside his wife Charlotte Riley. Hardy reportedly shaved his head as part of a role for an upcoming film where he'll play notorious gangster Al Capone. 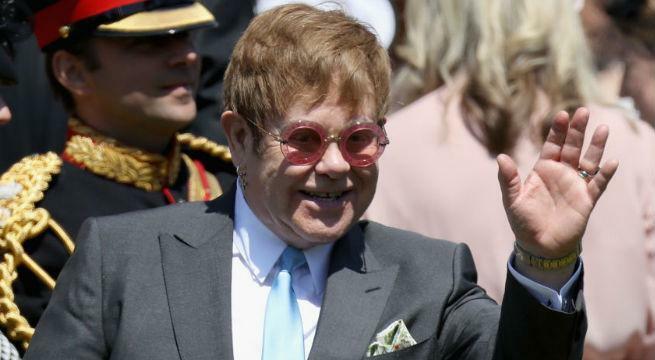 Music icon Sir Elton John and husband David Furnish attended the wedding, with John sporting a pair of pink-rimmed glasses. The eight-time Grammy winner and friend of Prince Harry's deceased mother Princess Diana is set to perform at the Evening Reception. Late night television host James Corden has been friends with Prince Harry for years. He attended the wedding alongside his wife Julia Carey. Actress Carey Mulligan and husband/singer Marcus Mumford both attended Saturday's event, with Mulligan in a bright floral dress. 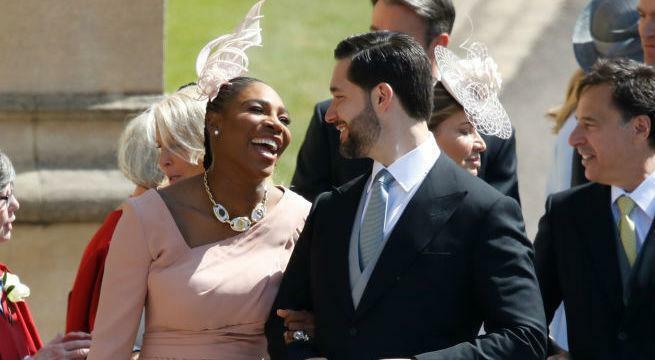 Tennis champion Serena Williams arrived at the wedding with her husband Alexis Ohanian. Williams and Markle first became friends in 2014, with Markle even cheering her on during the Australian Open in 2015 and the U.S. Open in 2016. Quantico actress Priyanka Chopra attended the wedding, as she's a close friend of Markle's ever since the two met at a party in 2015. As an actress, Markle's biggest role was as a cast member of the USA Network series Suits. Numerous members of the cast were invited to her special day, incduing Patrick Adams, Sarah Rafferty, Abigail Gabriel Macht, Gina Torres, Rick Hoffman and series director Silver Tree. Prince Harry is a famous fan of rugby, going so far as to be a patron for the Rugby Football Union He invited numerous current and former players and their wives to the event, including James Haskell, Sir Clive Woodward, Mike Tindall and Jonny Wilkinson. Other celebrities in attendance included food critic Tom Parker Bowles, broadcaster Dan Snow and his wife Lady Edwina Louise Grosvenor, singer James Blunt, singer Joss Stone, club owners Nick Jones and Guy Pelly, Serena Williams' agent Jill Smoller, actresses Alessandra Balazs and Janina Gavankar and fashion designer Misha Nonoo.